Have you looked at mortgage rates lately? They are (once again) crazy low, with 30 year fixed rates averaging just a shade over 4%. I feel like I’ve been saying this over and over, but rates can’t get much lower than this, so if you’re looking to refinance refinancing your mortgage, now is a great time. 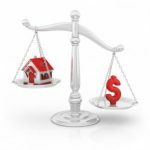 In the good old days of ever-appreciating property values, many people were treating their homes like piggy banks, and refinancing to pull out equity that they could spend on something else. Nowadays, the economic landscape has changed, and most people are refinancing to reduce their interest costs and improve their cash flow. While a healthy chunk of the apparent cost savings associated with refinancing comes from getting a better rate, it’s also important to keep in mind that you may wind up resetting the mortgage clock when you decide to refinance. Ten years ago, shortly after getting married, Bob and Sue took out a $240k, 30-year fixed at 6.5% APR. They’ve steadily made their required payment of $1, 517/month (principal + interest), and their mortgage balance has shrunk to $201k (rounding off). If they now decide to refinance to a new 30-year fixed rate mortgage at 4.5%, their payment will shrink to $1033/month. Wow! That’s great! They’re “saving” nearly $500/month. What’s not to love? Well… The interest rate savings is only a part of what’s driving down their monthly payment. The balance is coming from the fact that they’ve reset the time horizon to 30 years from now. Instead of being mortgage free 20 years from now, it take them 30 more years — for a grand total of 40 years! Let’s take a look at the underlying math… Consider that, had they kept the original mortgage, they would have made $278k in total interest payments. Even with the mortgage interest tax deduction, that’s a huge chunk of money. With the refinance, they paid nearly $134k in interest during the first ten years, and with the new mortgage, they’ll pay an additional $166k of the next 30 years, for a grand total of $300k in interest payments. Yikes! 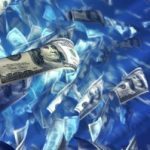 Even though the refinance greatly reduced their monthly payments, it wound up costing them $22k in additional interest payments. Now consider what would have happened if they had used their heads, and shortened the term of their new mortgage. Given that shorter term mortgage typically have lower rates, let’s say that they manage to find a 20-year fixed rate mortgage for 4.25% (i.e., 0.25% less than the 30-year mortgage). In this scenario, they’d still be on the hook for $134k in interest payments during the first 10 years. But during the next 20 years (the life of their new mortgage) they’d paid just $98k in interest. That’s a grand total of $232k in interest payment — a $68k savings over their original mortgage scenario! The point here is to not get wowed by the monthly payment. Run the numbers and figure out both your monthly payment and the total cost to own your home. It’s possible to reduce both. But if you’re not careful, you’ll wind up reducing your monthly payment while simultaneously increasing your costs. Note: Yes, I totally ignored the cost to refinance, the payback period on these costs, etc. Those points are generally well understood, and I didn’t want to muddle the current issue with unnecessary details. @Mary: Did you consider the option of getting a 15 year and just amortizing it over 12 years? There is typically nothing stopping you from doing that. Plain vanilla 15s and 30s are more available b/c those are the mortgages that Fannie and Freddie securitize. 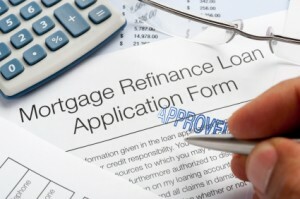 I refinanced with my original lender. Maybe they were willing to offer me a variety of terms because they wanted to keep my mortgage. If you’re going to live in the house for long term, lock in the low rate and invest your extra money in several taxable and tax free bond funds or ETF. Then let inflation and the devaluation of the dollar which would increase the value of the house take over in the next 30 years. This way you get the gain from rising interest rate, property value, and inflation protection. Plus cash in bonds for emergency and to do as you please, including paying off the mortgage with one check in the future. Less risk and more options. The lower payments will help if you get into a financial bind as well. Just don’t take the extra money and spend it or put it into risky investments. The last time we refinanced, we didn’t want to get another 15 year mortgage. We really want to get our home paid off. The bank officer told us we could have any number of years we wanted. We got a 12 year mortgage without her even batting an eye. NEW 20-year mortgages are not easy to find…but if you’re refinancing and you say “I don’t want to extend my original loan term” I would think they’d be able to work with you whether it’s 17 or 20 or 26 years, right? That said I agree about going for the 15-year term if you can, because of the huge difference in interest rates. I missed the assumption in the original post that the 20-year was about a quarter of a point lower, but lately on Bankrate the 15-year mortgages have been about 0.8% lower than the 30-years. I agree with Steve. I would shoot for a 15-year on the refinance. I recently got 3.875% on a 15-year refinance. (Rates may have changed a bit since I locked in my rate). 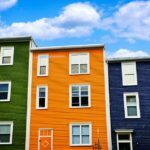 20 year mortgages are not easy to find in my (admittedly limited) experience. 15 and 30 year loans are ubiquitous. If you restrict yourself to only lenders that offer 20 year loans (or whatever specific, unlikely to be round number of years you have left) you are unlikely to get the best interest rate available. On the other hand, in the specific example you used, they could get a ubiquitous 15 year loan, probably get a 4% interest rate, and lower their payment a little while shortening their term. Win-win. Personally I think that 4% is so close to inflation and/or the time value of money that it’s quite possibly worth deliberately extending your loan term as far as you can. 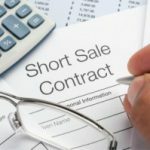 Paul – Right, but I agree with PFS’s comment that if you are in a position to be worried about the total interest you are paying instead of the monthly payment amount, then you are more likely to already be comfortable making your current payment and are looking at the refinance from a total savings rather than from a cashflow stance. Incidentally, I found a mortgage calculator and did the math myself. If they refinance $201K into a new 30 year mortgage at 4.5% and continue making the same payment, they pay $78,585 in interest on the new loan and pay their mortgage off in 15.5 years. If they refinance $201K into a 20 year mortgage at 4.5% and continue making the same payment, they pay $75,316 in interest on the new loan and pay their mortgage off in 15 years. So they still come out slightly ahead (assuming the rates are the same for the 30 and the 20 year mortgages) but the difference is much, much smaller. Courtney – I am in the process of a re-fi right now taking my rate down from 5% to 4.625% (with no closing costs). I intend to keep making my same payment each month with the additional principal bringing my pay-off date a year earlier than my current mortgage (March 2031 v March 2032). The question is whether you are comfortable making your current payment as Personal Finance Source states. If they are refinancing because they are in desperate need of cash flow then probably your only concern is how much less can I currently be paying each month. But if you are refinancing to save money in the long term then it is best to take the monthly savings from the lower payments and either pay extra towards the principal thus saving more or invest to earn a higher return. Doing either of these will probably have you coming out ahead in the end. But isn’t the optimal scenario of a refinance to continue to make the same payment after the refinance? How do the numbers compare then if they refinance into the new 30-year and pay off an extra $500 of principle each month, versus keeping the same term and only paying off an extra $272 per month? When I refinanced my mortgage in 2009 (was 5 years into a 30 yr mortgage) at the time, I got the interest rate reduced from 5.75 to 4.75%. But the new mortgage is for 25 years, keeping to my original timetable. My savings per month were only about $100 and the payback period for the closing costs is 2.5 years. That is just to break even on the refinance costs, but it was worth it to me because I knew I would be in the same home for at least 7 more years. The mortgage company quoted me number for 15, 20, 25 and 30 year mortgages so they were flexible. But Nickel is right, you are not saving any more money in the long term when you extend the term of your debt. This is an important factor to look at besides interest rate and monthly payment. If you don’t plan to be in the property long-term, then getting the much lower monthly payment for the longer term may be the best option. This is a great and important point. I was recently shopping a refi on my 15 yr loan. We are only in year 2 of the loan, not 1/3 the way through like your first example, and were going to see a rate drop of a whopping 1.5%. Still, resetting the clock and starting over meant a total savings of “only” about $10,000, minus the $4500 or so it would take in closing costs. The other thing to consider is you can make it work if you are willing to keep your current payment. In our case we committed to continue making our payment instead of accepting the drop. If we do this for the term of the loan we will save nearly $26,000 in interest savings, which even after taking the closing costs out is a much better deal. The bottom line is the ONLY thing that matters when shopping a loan is the total interest cost for the length of the loan. That is the real cost. When considering a refi, the most important comparison is the total amount of interest you have left on your current loan vs. the total amount of interest to be paid on the new one. Great example. I think a lot of people miss that, they just get sucked into the lower payment, so they think they are saying money.